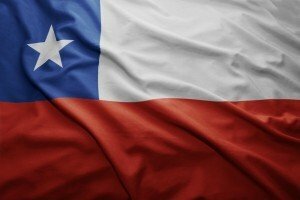 If you are looking to get a second residency, Chile is an option that ticks a lot of boxes for a lot of people. open arms, and there are a number of ways to be able to obtain residency. And after five years of residency, you can apply for naturalization and obtain a Chilean passport… one of the most valuable in the world. As of 2016, Chilean citizens can travel visa-free to the United States, Canada, European Union, and all over the world. And the best part is that Chile probably is the only country in the Latin America where you can go through the immigration process yourself, without the need of the lawyer, especially of you speak Spanish. But as straightforward as the process to obtain residency is in Chile, it can be a bit difficult for a foreigner to navigate. Especially if you don’t speak the language. As a place to live, it’s a fantastic safe-haven: secure, resilient, and tremendously abundant in natural resources. 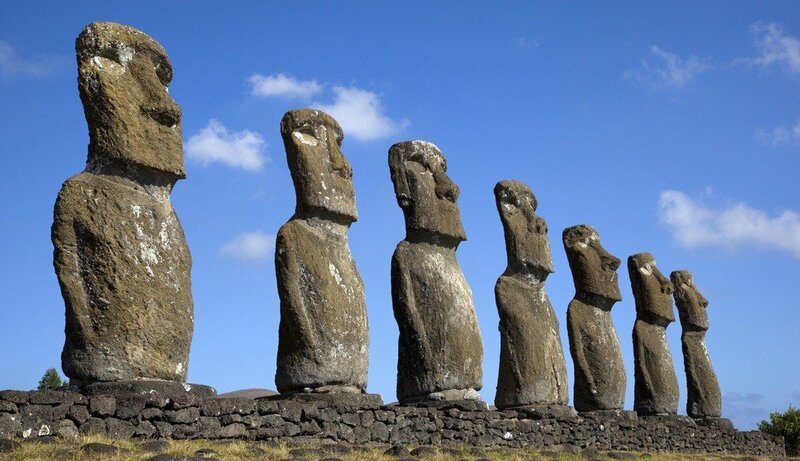 Chile is safe. Statistically speaking, Chile is the second safest country in the whole Americas when measured by a number of intentional homicides (murders), right after Canada and ahead of the United States. Chile is modern and civilized, especially in Santiago. Given the wide variety of products and services in the country, foreigners don’t have to go very far to find almost anything that they need – whether you want organic soaps, specialty clothing, a brand new 3D printer, or the latest Maserati model. It’s all in Chile. Also, Chile is a great place for productive-minded people. 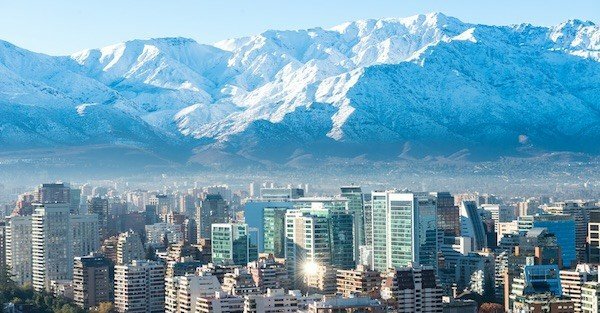 The business and investment opportunities in Chile are nearly boundless. And growing. This isn’t a place to hide from the world; rather, it’s a place to engage with the world from a position of strength. There are a number of ways to obtain residency in Chile; in fact, my team and I have found over a dozen different categories. We’ve broken down the best options into three main tracks for you, each of which will guide you all the way through to qualifying for Permanent Residency. The first option is often referred to as the “rentista” visa, and it is a great option for individuals who can demonstrate regular monthly or quarterly passive income that can be used to support themselves while living in Chile. The only thing that is specifically named is real estate rental income. But again, applicants have a lot of latitude. Note- this income should not be from a job, though it’s perfectly acceptable to demonstrate income you receive through dividends from a company that you own. Thus, if you have a company that has the potential to pay out this sum of money regularly, you may be able to set things up to strategically meet this requirement. My recommendation is that you be able to demonstrate income of at least $1,500 for a single applicant, plus $500 per each dependent. So for a family of four, I would recommend demonstrating $3,000 per month. An important thing to keep in mind as well is that you will need to show this passive income stream when applying for both temporary residency and permanent residency, so be prepared to maintain this financial situation for at least a year and a half. For your application you should show a dated letter issued by the payer. So if you receive Social Security, you should obtain a letter from the Social Security Administration with your monthly payment amount stated on it. You can download this letter online from the Social Security Website by following the steps here. If you receive a monthly payment from another pension provider, simply ask them to draft you a letter explaining your monthly benefits. Keep in mind that the letter must be on their official company letterhead. For temporary residency you need to obtain this letter no more than 3 months prior to submitting your application. You’ll again need to obtain the letter a second time 3 months prior to submitting the application for permanent residency. The second track is exclusively for those of retirement age – generally 55 and over – who have the option to demonstrate financial independence through a lump sum of liquid assets. For a lump sum, amounts of at least $125,000 for a single applicant, plus $25,000 for each dependent are advisable. These can be across brokerage accounts, bank accounts, retirement accounts (IRA, 401(k), etc), or any combination of the three. They can also be held anywhere in the world. You will need to show this lump sum when applying both for temporary residency and again for permanent residency, so be prepared to maintain this level of liquid assets for at least a year and a half. The evidence of the lump sum can simply be bank or brokerage account statements. Unfortunately, being retired and being of retirement age are not the same in the eyes of the immigration officials, thus the age requirement is essential to meet to qualify for Track 2. Finally, the third option is for those intending to start a business in Chile. For this, the financial requirement is lower, at just $60,000, but within three months after obtaining temporary residency, you will need to start your company in order to put you on track for permanent residency. Please note there are additional costs associated with this – including the costs of setting up the company, accounting fees, and taxes to the Chilean government. Which is why if you are able to qualify for Track 1 or Track 2 above, we advise you to pursue those. These are far and away the simplest to qualify for. When it comes time to apply for permanent residency, the government is going to want to see that you have met certain criteria during your first year of operations. So we will also advise you on getting your company set up properly to ensure you are on the right path to qualify for permanent residency. In each of the three tracks above, the requirements listed are for the primary applicant only. A primary applicant can apply for his dependent family members as well. But dependents are generally not entitled to seek work during temporary residency period. For some folks there is other documentation that needs to be gathered, and in some cases, legalized. We’ll cover that in more detail below. It’s up to you to gather and prepare these documents. Once you gather the documents, you’ll be ready to book your flight down here. This is critical, because a residency application MUST be lodged from Chile. Don’t worry, you’ll have a great time while you’re down here. I think you’ll be pleasantly surprised. By the end of your trip, your residency application will be in process. It will take the immigration department approximately 2 months to provide a provisional approval, and another 2 to 4 months to issue a final approval. Once the application has been fully approved, it’s imperative to come back down to Chile within two months of that approval. So let’s say you lodge your application on January 1st, you should have your approval sometime between May and June. This means you’ll want to plan your schedule to ensure that you can travel to Chile for a second time between July and August to finish the process. 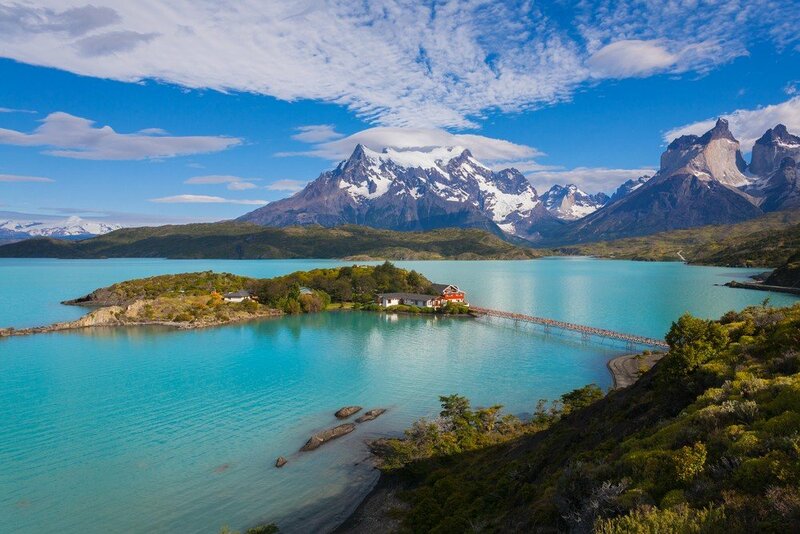 The second time you come to Chile, you’ll need to finalize a few steps, including getting your passport stamped with the temporary visa. It’s at this point that the official “clock” starts ticking for temporary residency. Obviously, if you choose to live in Chile full time, you can do that. There is no need to return to your home country after applying for residency unless you choose to do so. You see, the reason they call it a temporary visa is because it’s just that—temporary. The particular visa in Tracks 1 – 3 is called “Visa Temporaria” and it’s valid for one year. The process of permanent residency application is almost exactly the same as temporary one. Most of the documents you will use will be the same too (except for some government documents you will need to collect here in Chile before you apply). Therefore, if you filed for temporary residency via real estate income of rentista option, make sure your contract term is “automatically renewable” or just long enough to cover both temporary and permanent residency applications. Otherwise, you will have to repeat the notarization/apostille exercise with the new contract again. Having permanent residency in Chile is a big deal. Because at this point you’ll be able to leave Chile if you like. There’s practically no more physical presence required. 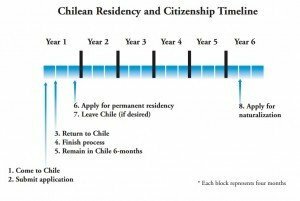 In order to maintain permanent residency, in fact, all that’s required is that you set foot on Chilean soil just once each 365 days. And even that requirement can be waived for up to four years in a row by filing a form at a Chilean consulate abroad no less than 60 days before each year expires. After five years of total residency (starting from the day your temporary visa is stamped into your passport), you can qualify to apply for naturalization, and also a Chilean passport. As you can see getting a second residency in Chile is a very straightforward option. Obtaining a second residency in a foreign country is a huge step towards personal freedom and resilience; it ensures that you’ll always have a place to go in the event that the situation in your home country isn’t as rosy as the politicians and central bankers let on. Plus, in a few years’ time, you could be eligible to apply for naturalization and a second passport. This is something that makes sense… no matter what. You’re not going to be worse off because you have a place to go, or because you obtain a second passport. But if the worst should happen, it will turn out to be one of the smartest moves you’ve ever made. This is at the core of our ethos here at Sovereign Man: Doing things to ensure you will be OK and thrive no matter what happens next.